The International Workshop on Unsaturated Soils "Between Theory and Practice in Unsaturated Soil Mechanics" has been jointly organized by the University of Trento (Department of Mechanic and Structural Engineering) and the University of Napoli Federico II (Department of Geotechnical Engineering) and will be held at the Faculty of Engineering, University of Trento, from 4 to 6 February, 2008. 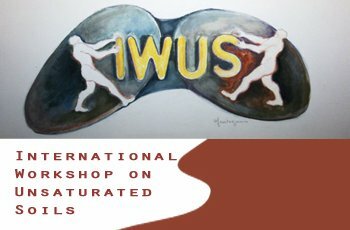 This event is supported by TC6, the ISSMGE Technical Committee on Unsaturated Soils and by the European Research Training Network MUSE - Mechanics of Unsaturated Soils for Engineering. The Workshop is intended to be a forum for postgraduate and post-doctoral researchers to exchange experiences about new advances and developments in this field. It is hoped that the relatively informal nature of the meeting will stimulate discussion, exchange of new ideas, and debate on fundamental topics.